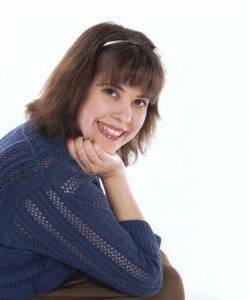 Today I’m hosting an interview with author, Keira Gillett. Keira is self-published and the second book in her Zaria Fierce Trilogy, released November 6, 2015. 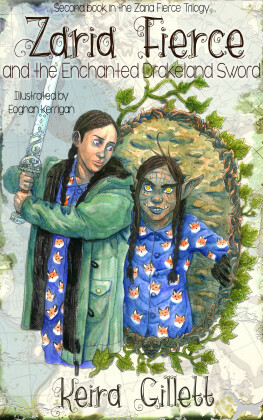 The last time Keira was on the blog she discussed her writing playlist for Zaria Fierce and the Secret of Gloomwood Forest. You can see my review for the book here. Q: Hi Keira and welcome. What drew you to Norwegian mythology and folklore? Keira: Thanks, Liberty! I’m happy to be here. Zaria Fierce was always going to take place in the north. I bounced her story all over the globe from Russia to Canada. I even considered a completely different world. Like Goldilocks trying out the different beds, chairs, and porridges, it was simply finding what was just right. When I picked Norway and started writing, Olaf appeared and I knew it was a perfect match. You see, I had been waiting for the villain to make himself known to me. Previous plots for Zaria were abandoned because the villain wouldn’t take shape. Without an agenda there wasn’t a story to pursue. I enjoy Scandinavian and European mythology and folklore because they have many parallels and crossovers. I take from both to suit the story, and sometimes I make it up entirely. It’s been lots of fun adding in new creatures and beings for Zaria and the gang to meet and interact with as they quest for a magic sword. Q: Do you have beta readers? How have they helped you write Zaria Fierce? Keira: I do! Think of a book like having dinner. I can easily write the meat and potatoes. I’m told I’m very good at providing all the pertinent information in a timely and easily digestible manner. My beta readers tell me where I should consider adding side dishes and dessert to the menu. Their insights help me tremendously, and both improve the story and the reading experience. Q: Do you feel that there is more pressure when starting a new series/sequel? Keira: I’m going to say writing a sequel has more on the line than the first book in a series. It’s generally considered that the sequel to the first book in a series or trilogy is the worst book when compared to the rest of work. It’s like book one is about being interesting and setting up the story, book two builds on it but doesn’t go anywhere, and three concludes the story with a big finale. My beta readers have told me they think book two is even better than the first book. Whew! Q: What’s one of your favorite/funniest things someone has said to you about your books? Q: As a writer how do you keep from being discouraged? Keira: Discouragement is around every corner for anything you do. It doesn’t matter if you’re an author, artist, actor, or any other avocation or occupation. There were times I had to pick myself up in the process, but it wasn’t the writing that discouraged me. I have a very healthy attitude about writer’s block – e.g. put it aside to ruminate about it for a day and/or keep pressing forward and write a little each day until I can break through to the next wave of inspiration. Where I sometimes needed a pep-talk was in the promoting of the first book. I’m a one-woman show so it’s important to put effort where there’s a healthy return on investment. My attitude these days is that the worse anyone can say to me is no and if they do say no then I move on and keep pressing forward. If you don’t let setbacks faze you, you’ll realize every step you took (no matter how small) helped you reach the summit of success. You’ll never reach the top unless you take a little action every day.